Danny Elfman and Tyler, the Creator reimagine a classic soundtrack for Illumination Entertainment's Dr. Seuss' The Grinch. 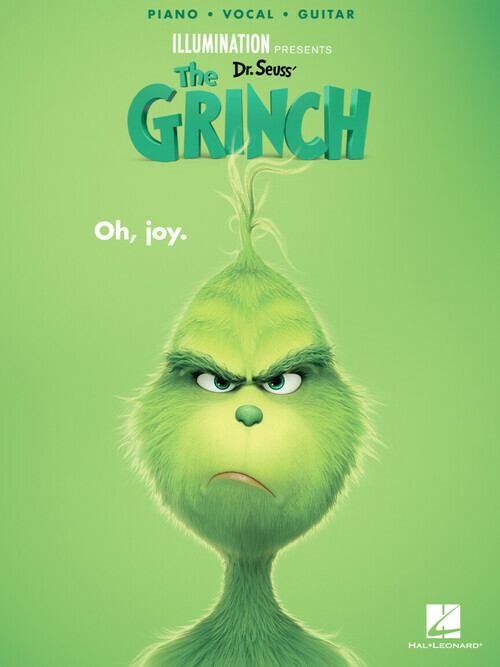 The film features some classic tracks from Run-DMC and the Brian Setzer Orchestra alongside new material which includes a complete re-working of “You're a Mean One, Mr. Grinch” by Tyler, the Creator. Each song is arranged for piano, voice and guitar with chord symbols, chord diagrams and full lyrics, alongside stunning full-color imagery from the film. Songs include: Christmas in Hollis • Christmas Is • I Am the Grinch • Run Rudolph Run • Stealing Christmas • A Wonderful Awful Idea • 'Zat You, Santa Claus? • You're a Mean One, Mr. Grinch • and more.